IT companies stop bulk recruitment in engg colleges. Experts predicted the campus placements set to be down this year around 35 per cent to 50 per cent in all engineering colleges including the elite institutions and deemed universities. Chennai: A major shift in recruitment trend has hit campus placements in engineering colleges across the state as IT companies have stopped bulk recruitment this year due to automation and slowdown of the industry. Now, major recruiters, IT services companies have cut their intake and are hiring students only in small numbers based on their needs and students who got specific skill sets in emerging areas alone are getting placed, according to the placement officials of top engineering colleges. Experts predicted the campus placements set to be down this year around 35 per cent to 50 per cent in all engineering colleges including the elite institutions and deemed universities. However, some sections are still hopeful that the situation will improve after the announcement of third-quarter results by IT companies. Last year, the top engineering colleges and deemed universities have placed around 55 per cent to 60 per cent of their students. This year so far 30 per cent to 35 per cent students alone got job offers. “The campus recruitment is very slow compared to last year. The bulk recruitment is the gap this year. But we are anticipating the demand to go up once next quarter results are announced,” said John Bruce, dean, placement and corporate affairs, Sathyabama University. He said the students who project as a complete product has edge over others in campus recruitments. “Instead of looking for corporate to train you, the student can project them as a complete product to get placed,” he said. “The number of companies visiting our university is always higher. Last year around 150 companies visited our campus. This year we are targeting more than 200 companies as bulk recruiters are not hiring in big numbers. By increasing the companies we can maintain over normal placements placement which is over 90 per cent,” he added. Companies are hiring students with specific skills in emerging areas like big data, cybersecurity, cloud computing and machine learning. “The talented students still get jobs provided the upgraded their skills,” said an official from a leading IT company. “Overall the industry is getting tougher. We are getting projects at the higher level and the expectation on fresh engineers is also increasing. Now the companies want the students to be equipped with programming skills. They now want to train students only on advanced concepts,” he added. “IT industry will do well. Earlier the growth is 30 per cent or 40 per cent . Now it has been reduced to 8 per cent to 10 per cent. The low-level jobs are carried out through automation. Earlier the testing will be carried out on the mass scale. Due to automation, these works are being carried out by the computers. Those jobs will not be there,” another official from IT services industry said. “It is not as bad as we expected. There are good IT product companies, the core engineering companies, and even IT services companies also visiting our campuses,” says Sriram Padmanaban, director, Career Centre, SRM University. “The on-campus recruitment landscape is changing in recent times. Earlier, they have hired students based on their aptitude and communication skills and later trained them. 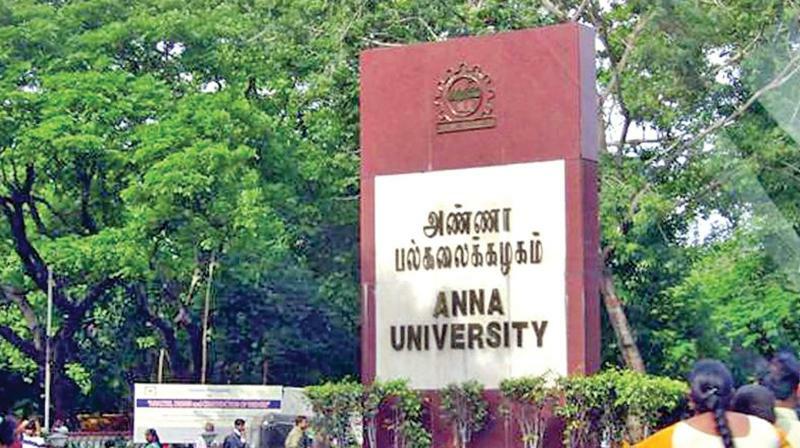 Now, the companies are looking for students with specific skills before hiring them,” said T.Thyagarajan, director, The Centre for University Industry Collaboration (CUIC), Anna University. He also said the students should acquire specific skills in emerging areas like machine learning, internet of things (IoT), big data analytics, cybersecurity, cloud computing and artificial intelligence (AI). Many students also get placed through competitions and challenges which test the coding skills and problem-solving ability of the students. “Campus recruitment will be down by 35 per cent to 50 per cent this year in engineering colleges. Unlike previous years the IT companies want only students from specific branches. Colleges should go beyond the syllabus to enable the students to learn specific skills in machine learning,” said - Jayaprakash A.Gandhi, career consultant, and educationist. Some college principals said many start-up companies have visited their campuses this year. “The big recruiters did not even recruit 50 students this year. We expect more offers from new start-ups and IT product companies,” they said. Many of the city colleges have got only 50 per cent offers compared to last year. Skilled students alone are getting placed on campuses. Colleges started to advise their students to acquire special skills through certificate programmes to get placed on-campus recruitment.